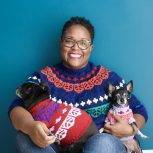 Every knitter has their “thing.” As you may have figured out from my last piece here on MDK, I love to knit sweaters. Nothing brings me more joy than casting on a new sweater. I’m always searching Ravelry for my next sweater pattern. In this and future columns, I’ll keep you up to date on the patterns that this sweater knitter has her eye on. There’s yarn I already have in my stash that I think would be perfect for the pattern. Since it’s officially spring, I’m thinking of transitional sweaters, or sweaters that would be great to make with cotton and wear all summer. Since I live in Maryland, where we get all four seasons, I’m a big fan of knitting with cotton yarns. I live in cardigans, especially in the spring since the weather goes up and down so much on the east coast. 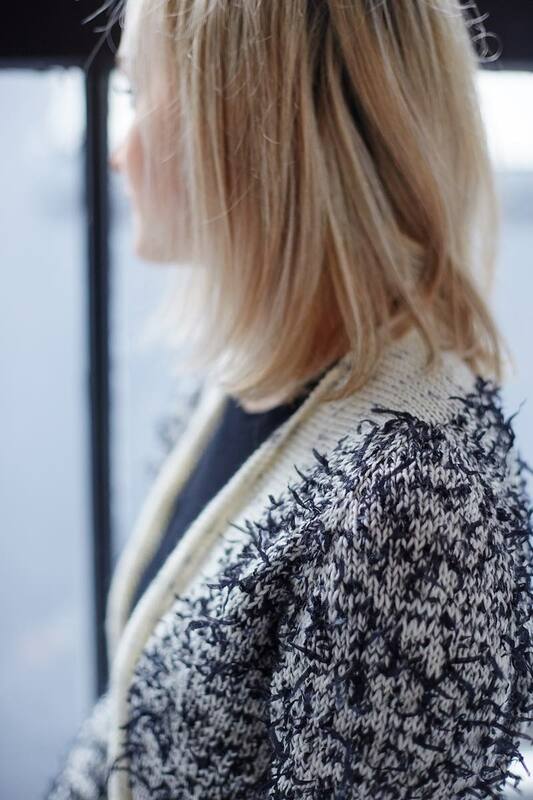 This cardigan by Hannah Fettig is a riff on her perennial favorite Featherweight Cardigan design. (There are nearly 10,000 Featherweight Cardigan project pages on Ravelry!) The “Feather” Featherweight version is knit with DK-weight yarn while holding a strand of Hedgehog Fibres Feather yarn, an interesting novelty yarn with an almost paperlike texture. 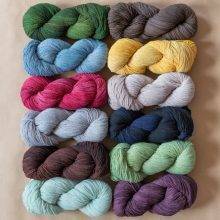 The texture of the Feather yarn has me so intrigued that I ordered some already, and have this cardigan in my queue to make. I’ve decided to go a bit bold with Madelinetosh DK in Gin and Tonic paired with Feather in Skinny Dip. Once I cast on, I’ll share some progress. 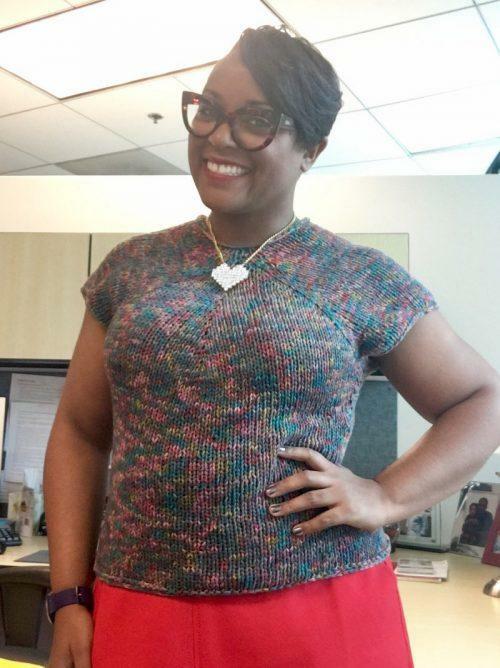 Editors’ Note: if you’re not following Dana on Instagram, do you even knit? Stay tuned for her cast-on of this one. I’m also thinking about making another great spring-into-summer piece that I can make with cotton. Joji Locatelli’s Dark Cloud, released this past February, just might be perfect. It’s knit with a bulky weight yarn (I’ve got some Katia Concepts Cotton Merino yarn in my stash I want to use), and has a loose fit with open side vents that make it a perfect layering piece. Knit it with a wool-cotton blend and you can wear this into fall with a long sleeve tee. 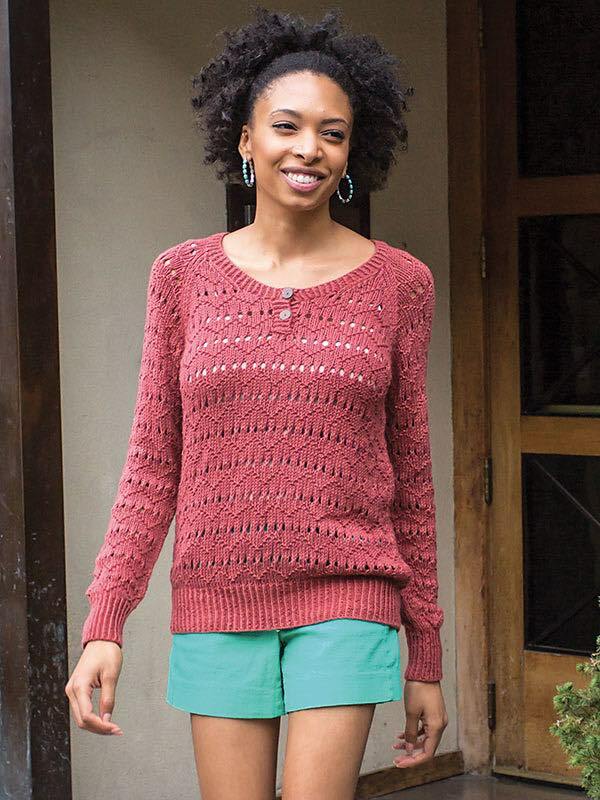 A pattern from 2015 that I’m excited about is Tess, by Amy Christoffers. 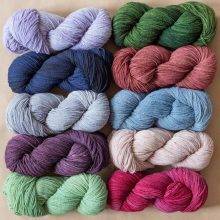 I’ve used Berroco Modern Cotton for colorwork sweaters, and I like how it feels in my hands as I knit. So I was excited to find a textured lace pullover that would be perfect to throw on over a tank top on a chilly evening on the shore. And here’s an oldie but a goodie that I love for summer, Cathy Carron’s Six Point Tee. I’ve knit two of these before with light weight bulky cotton yarns, and I’m already thinking about knitting up another for this summer. The Six Point Tee is also a good starter piece for someone who wants to dip their toe into sweater knitting. 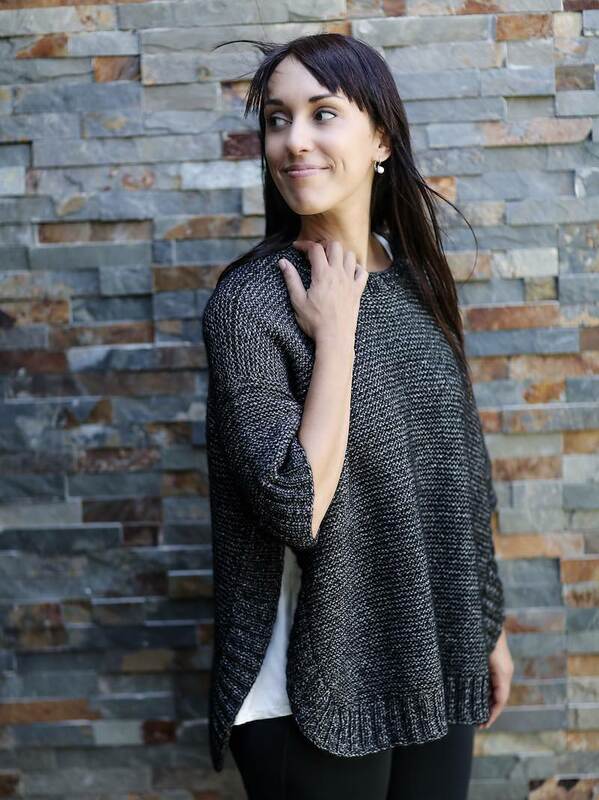 It knits up quickly, has minimal finishing, and you don’t have to worry about sleeves! I have whipped one up over a weekend and I am on the hunt for the perfect yarn to make another one this spring. What are you knitting this spring? Sweaters are a year-round thing, thank goodness. DOO HAPPY Dana is o MDK. SUCH an inspiration!!!! More More! As a relatively new knitter I could read about pattern and yarn pairings endlessly. Thank you! Yes, me too!! I don’t have enough experience with different yarns so it is so helpful when Dana says what she knits with. Now I really want to try knitting with cotton! Dana, I am right along with you! I am knitting the comfort fade cardi but with malabrigo sock for my spring/summer go to sweater. (I live in MI – warm days chilly nights!) you have me wondering what else can I modify???? I know everyone asks this, but when do you sleep?! So much inspiration. Thank you! Spring is just around the corner right? This gave me hope and inspiration! So much inspiration! So much fun!!! Thank you for these great ideas. You’ve helped me look at these patterns in a different light. Love your blog too. Soooooooo excited that Dana will be a regular! Her writing style is great and her posts are just the right length. Love her ideas, too! 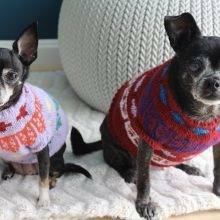 You have such a good eye for choosing sweater patterns and pairing them with your yarn. Thank you for your inspiration this morning! Thank you for sharing your process. Intrigued by the “yarn board” behind you. Would like to know more details please. Also a little sad there were no dog photos included…. Oh my goodness! Now you have me picturing Cher and Jellybean in cute, little, fuzzy, feather featherweight sweaters to match! “I have whipped one up over the weekend”…. oh man, if only I could knit so fast!! As always with Dana, these are such interesting looking patterns and these color choices look like they’ll be fantastic. My endless queue just got 4 sweaters longer. 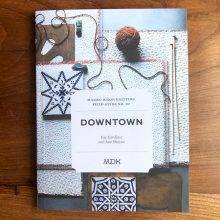 Dana is also one of my favorite knitters. I follow her blog, on Instagram , and anywhere else she chooses to write. OMG I am so inspired by your prolific knitting and I LOVE the way the six. points sweater fits you! I wouldn’t have thought that was an option for me, being much curvier than the model, but it looks so good on your I would totally give it a try. Thanks for sharing your wit and wisdom! I love Dana! I love her style, her ideas, her tips, her fun! Dana, you are truly an inspiration! I would love to knit the Six Points Sweater. Rowan All Seasons Chunky is discontinued. What are you using instead? Yesssss! So glad Dana is writing on MDK! Dana, love your eye for interesting patterns that I probably wouldn’t have seen otherwise and then love to see the finished products knit in such gorgeous colors! I love your Feathery Featherweight yarn choices. You’re going to be a fabulous bird of paradise! I also have some katia cotton merino stashed for a joji dark cloud pullover! Great inspiration here, thanks! You had me at Six Point Tee!!!!!!! Your use of color (instead of the beige on the model) grabbed me a d woke me up!!!! Thank you!!! Love your pullover & poncho choices. And it’s sooooooo nice to hear from someone who likes to knit with cotton. There’s so much more to knitting life than Fair Isle & wool. Thank you!!! Love the inspiration from Dana!!! Dana in the house! Yay!! Thanks for the inspiration and color. So glad this is a new column! Brava, Dana! 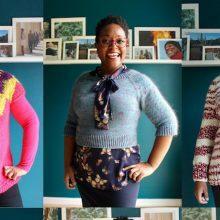 I love all the beautiful sweaters you make, and it’s very fun to find you here as well as on your blog! Good choices- love the mouth watering colours you picked for Feather! Dana – I love the Six Point Tee!! How did I ever miss it. It’s such an elegant, but simple design!! Dana is so inspiring! I love her pattern choices and yarn pairings! Love your choices – especially the feather sweater! I would like to knit one, too – but probably boring ole black/white. I just realized that part of the appeal of that Feather Featherweight for me is that it resembles a Chanel jacket, which is one of my holy grail knits if I can ever find the right pattern. Maybe this is it, with this fun yarn. This is a holy grail for me too. I’ve been trying to find the right sewing pattern for one for years. Or a knit pattern. Or both. They’re pretty basic shapes. There are a couple of Chanel type jackets in Vogue Knitting Fall 1996. I am currently knitting the cover sweater from that issue, which is a reboot from VK Fall 1952. Shows how quickly I get around to things. I forgot about that six-point tee — LOVE your hot pink one, DWJ. Dana has such an amazing presence. She just radiates happiness! Looking forward to more of Dana’s posts. Sweaters are my thing too! 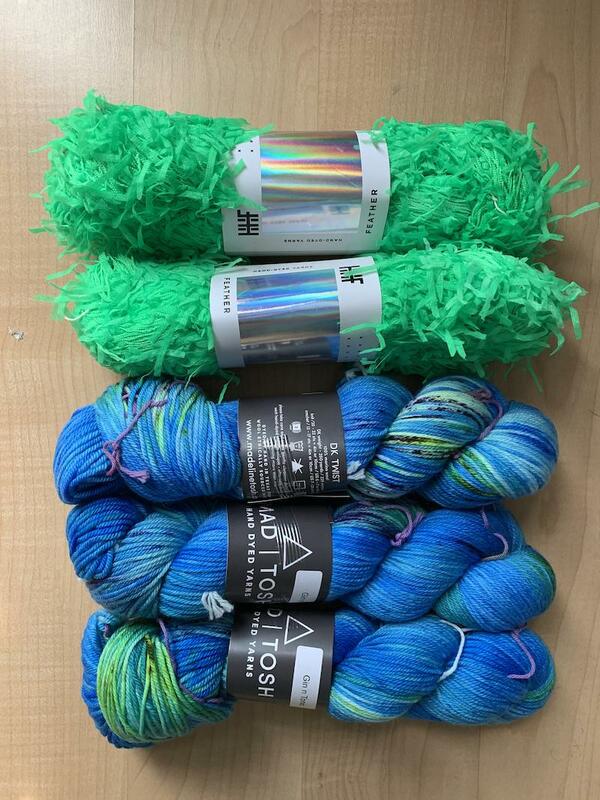 I’m not nearly as quick a knitter as you are, but I am going to be perusing my LYS for some summery fibers soon, thanks to this post! Hello, Dana! If I only knew you back when I lived in Waldorf (MD). I worked for UMUC back then, but am now retired and living in rural IL….and hardly any knitters!! Everyone around here crochets or quilts. Love your site. I’m thrilled to see Dana here!! 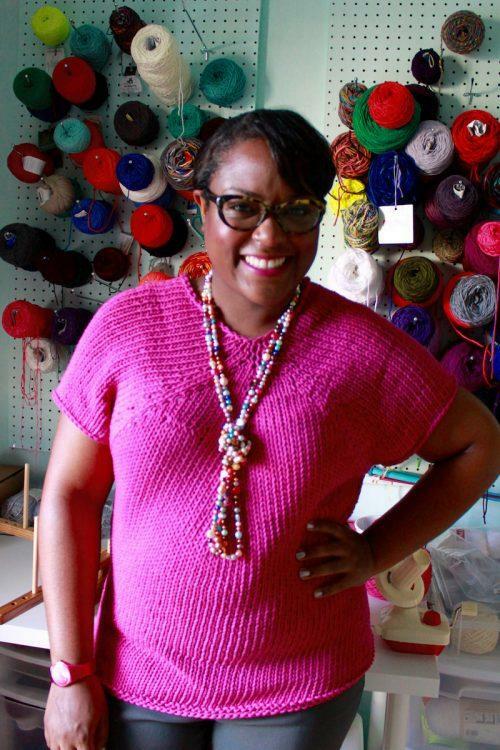 Such an inspiring knitter and amazing person. I love that hot pink Six Point Tee and I’ve just added Dark Cloud to my queue. How is it that I have never noticed the 6 point Tee?!?! What a fun read to start the week, I love that Dana finds sweaters I’ve missed or overlooked because of not realizing the potential. Can’t wait to see that zing of a Featherweight ! Yay, Dana’s here! Welcome! I’m all about the sweaters too (although I swoon when I look at the log cabin blankets Kay Gardiner makes). Speaking of whom, do you think you’ll ever make a sweater out of her favorite denim yarn? That 6 point sweater is gorgeous. Good to see it modeled on different body types. Thanks! I love Dana posts!! 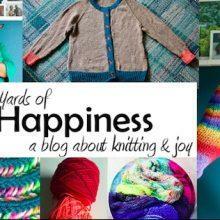 Such much inspiration and fun and color and now I am compelled to cast on a sweater in cotton – this will be a first. Gulp. Just found this website and YOU! Excellent article. The word exuberant comes to mind with Dana and we could all use more exuberance. She is a joy. I love the collar on the Kantha cardigan but my memory of those Chanel jackets is that they were mostly collarless. The ‘Chanel-ish Cardigan Jacket’ by Mary Heather Browne/Cogar in a pre-Ravelry book Greetings from Knit Cafe looks pretty darn Chanel to me. I love your enthusiasm! As I’m still struggling to finish my first sweater for myself (Niagara by Heidi Kirrmaier) I could only add some of these yummy sweaters to my favorites. Keep on with the inspiration!